When determining if someone is disabled, or still disabled once they have already been awarded benefits, the United States Social Security Administration (SSA) first must determine if claimant engaged in substantial gainful activity during the period when claimant asserted that he or she was disabled. This is technically the first part of a five-part test that is supposed to be used by all SSA administrative law judges (ALJs). Basically, the first question is whether claimant worked enough while he or she was disqualifying the applicant from claiming a disability for the purpose of being awarded Social Security Disability Insurance (SSDI) benefits. If the claimant had worked too much, then he or she would not be entitled to benefits. If claimant was already receiving monthly disability benefits and went back to work part time, he or should would likely have all benefits terminated. This, however, creates a major problem, as Congress doesn’t want people who could work staying out of the workforce for fear of losing benefits, so they have created the ticket to work program as a way to ease back into the workforce without losing benefits until claimant can support him or herself. This leads to the question of what exactly is substantial gainful activity? A recent news article from the Herald attempts to answer this question. First, the word activity means working for money. The concept of substantial gainful activities means earning enough money to disqualify you from being considered disabled. The amount of money you have to earn to be considered substantial gainful activities can change by year, by location, and it can vary based upon the situation of the claimant. Generally speaking, the substantial gainful activity threshold for the year 2015 was $1,090 per month and for those who are statutorily blind, the monthly income is $1,820. However, these amounts can vary based on the facts of your actual case, and you should speak with an experienced Boston disability lawyer before taking any action in your own case. Another question addressed in this article is whether workers’ compensation benefits can cause a reduction in your monthly Social Security Disability Insurance (SSDI) benefit award. In this case, the answer may be yes. First, there may be an issue if the disability was caused by an on-the-job accident. In this case, workers’ compensation benefits may be the appropriate remedy, and it should be noted that, in general, workers’ compensation is considered an exclusive recovery program. This means that under most workers’ compensation systems, including those governed by the laws of the Commonwealth of Massachusetts, you generally cannot recover from another source if you are eligible for Workers’ Compensation benefits. Again, this is not the case in every situation, and you should speak with an experienced attorney before making significant decisions. It helps if the attorney you choose is familiar with both Social Security disability benefits and workers’ compensation claims. 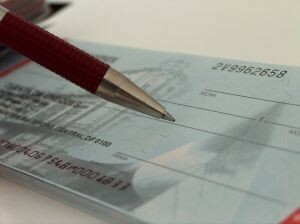 Another thing that can affect the situation is which Social Security disability benefits program you are dealing with. There is Social Security Disability Insurance (SSDI), which is designed to provide benefits for those who have worked and paid into the system, and then there are Supplemental Security Income (SSI) benefits, which are designed to assist low income children and elderly people with a disability.